Cat has over 20 years experience in senior management and project management, previously operating as Head of Intelligence Analysis for a National Government Intelligence Agency. 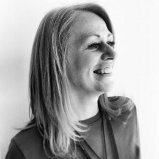 She has had a successful and varied career to date and with a unique mix of experience in; psychology, profiling and strategy she is focused on building strong teams to ensure maximum efficiency, flow and tangible results even under the greatest of pressures. Cat also runs her own company called The Straight Talking Ginger: Mindset Coaching as well as mentoring business owners, start-up entrepreneurs, teams and individuals.